Aishwarya Rai Bachchan may not be seen in a movie with husband Abhishek any time soon -- no matter what producer Gaurang Doshi tells us -- but the couple will be seen together in a new advertisement for TTK Prestige, a kitchen appliances brand. “I distinctly recall this memorable line,” Aishwarya said at the event held in Mumbai recently. So how many times has Aishwarya used the Prestige herself? The actress claims she’s familiar with the kitchen while Abhishek loyally tells everyone that she’s a good cook. “I come from a Mangalorian family. I have been helping my mother in the kitchen from a very young age. Kitchen has been a familiar space for me, way before showbiz started at the age of 18-19,” Ash says. "She cooks really well. 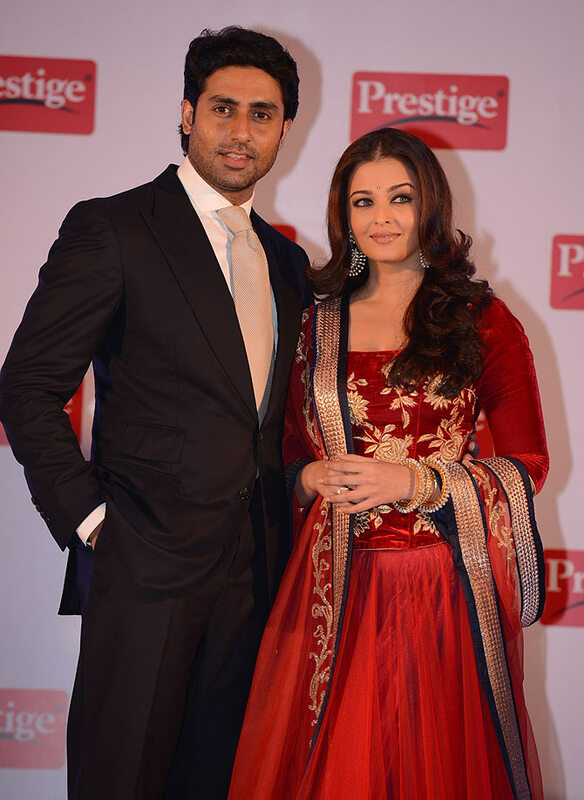 She makes good desserts,” Abhishek says. A few days ago, news of Ash’s comeback made the rounds but Abhishek rubbishes it. "Prahlad Kakkar (ad man, who was to direct the film, Happy Anniversary) is a good friend of Aishwarya. He knows her since a long time, and that's how I know him. He told us the basic idea (of the film) but we haven't heard the full script. "Things are yet to be confirmed. When things happen, we shall let you know." There were also reports of Aishwarya doing a special song in Sanjay Leela Bhansali's Ram Leela. But now, Priyanka Chopra will be doing it. "Nothing needs to go wrong. Either it goes right or it goes otherwise and this went otherwise,” Aishwarya tried to explain. “You will know the answer in due course of time."